Many people do not realise the various benefits of purchasing travel insurance for their vacations. There are so many reasons why travel insurance is a great option for anyone. Your insurance can cover your specific needs and ensure that you have peace of mind during your next trip. Here are a few important things to know before you go on your next big trip or vacation. For anyone who has experienced some medical troubles or is increasing in age, having proper medical insurance is important. If you have any medical problems, it can be worrisome to travel with these conditions. You want to be sure that you, or possibly your ill loved ones, are fully protected in case something goes wrong. Sometimes worrying about your medical problems can prevent you from traveling altogether. This isn’t something than anyone should have to go through, so having appropriate medical coverage is important. When you are traveling far from home, you want to know that if an emergency happens you will be properly taken care of. By purchasing medical travel insurance, you are ensuring that the things your medical provider cannot cover will be taken care of. Your additional insurance can help you in a time of crisis and even have you airlifted from your current location to a place with adequate medical care. If you have a condition such as diabetes, your medicines are extremely important to you. When you have travel insurance, you can rest easy knowing that you have someone on your side in case of emergencies. It is a scary thing to consider, but airlines occasionally lose luggage. In the horrifying event that your airline can’t find your luggage, you may be without your important medicines during that time. When you have travel insurance, you have someone by your side to assist you when things like this occur. They will be actively searching to ensure that your luggage is found as soon as possible. Otherwise, you would be faced with this frustrating and scary task all on your own and may experience too many roadblocks along the way. With your travel insurance, you have someone who will fight for you and work with the airline to get your luggage to you as soon as possible. There are many worries that come along with traveling with your family. You want to be sure that everything is in order, but you also need to focus on keeping your family safe. You want to be sure that they are having a great time, but sometimes things can go wrong. You want to be able to rest easy knowing that if baggage is lost or things are damaged, you will be covered for this. Your vacation should be an enjoyable experience and getting additional travel insurance can help to set your mind at ease during this trip. Finding budget travel insurance doesn’t always mean budget cover. You can find someamazing options that will work well with your budget, but also provide you with adequate coverage. The right travel insurance companies will be there to help plan around your personal budget. Many people think that travel insurance is an added expense that they cannot afford, but that is not true. You can find some amazing budget insurance that will cover you for all of your travel needs. This is a great benefit that can help put your mind at ease and let you know you are making the right choice by purchasing travel insurance. Your insurance can actually end up saving you a lot of money if something unexpected happens. You simply cannot predict the future, so having this insurance is vital in keeping yourself and your wallet protected. Yourinsurance will cover you in case of various emergencies and loss of belongings. It is nice to know that someone has your back when you travel, and the right travel insurance will provide that comfort for you. The biggest thing travel insurance can do for you is to provide you with peace of mind. Once you have added insurance, you no longer have to worry about things going wrong. You can simply enjoy your vacation knowing that you are covered in case something unexpected happens. The great thing about travel insurance is that you cannot predict the future, and you don’t have to. Sometimes plans change and emergencies happen that you just cannot prevent. You may have an amazing vacation all planned out, but because of unforeseen occurrences, you are forced to cancel everything or possibly postpone your plans. 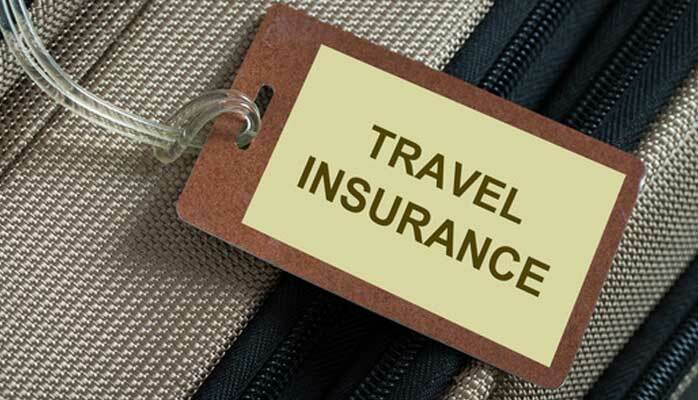 When you have travel insurance, you are covered for all of the fees that might be attached to your cancellations. We all know that missing your flight means that you are out that high cost and will not be refunded. When you have travel insurance you won’t have to worry about that because they will cover you. It is nice knowing that these expenses are taken care of, and you won’t be losing a ton of money. Having insurance can actually end up saving you a lot of money if things go wrong, which they so often do. Another great benefit of travel insurance is that you have so many options available to you. Depending on the specific type of insurance that you need, your travel insurance company can work around that. Anything from added medical insurance to extra business or even wedding insurance, you can find the coverage to fit your personal needs. Being able to work around your specific budget and personal needs is a great thing and can help you relax knowing that you are taken care of. Knowing that your needs will be taken care of and that you will be covered in case of an unexpected emergency is a great comfort to you and your travel companions. Having travel insurance is a great decision for anyone, even someone traveling on a budget. You won’t regret your decision to purchase travel insurance, but you may regret it if you refuse to make this purchase.